We offer complimentary Valet parking. We provide the best live entertainment on the Main Line in our beautiful Ca" Nova Bar. Thursday nights offer the sounds of Joey on the Piano. Fridays we have Giorgio on the violin or the American classics by George Sinkler. And Saturdays we have the beautiful voice of Elizabeth with the always entertaining Pasquale. La Collina is the ideal setting for private parties or special events, offering a variety of options for your social or business affairs. Our spectacular wine cellar offers a charming, casual elegance, with accommodations for up to 70 guests. Our main dining rooms comfortably seat 110 guests in elegant surroundings reminiscent of Italy. From intimate dinner parties to larger receptions, La Collina will create an unforgettable experience for you and your guests. 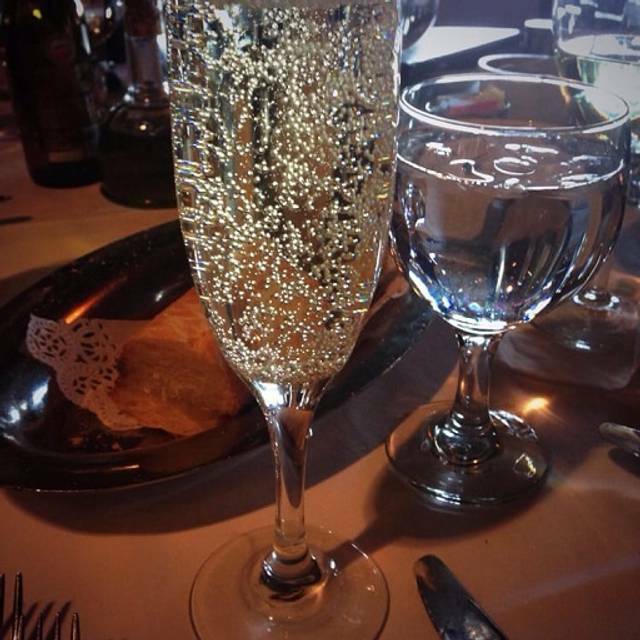 La Collina has delighted diners with world-class cuisine, service, and ambiance for more than 31 remarkable years. Classically-trained staff serve a selection of the finest old-world recipes in an atmosphere of casual elegance, while attending to every detail. Located just off the Schuylkill Expressway in Belmont Hills, La Collina boasts spectacular hilltop views. The bar offers a unique atmosphere with live entertainment and dancing on weekends. This gem is known as one of the most romantic restaurants on the Main Line. 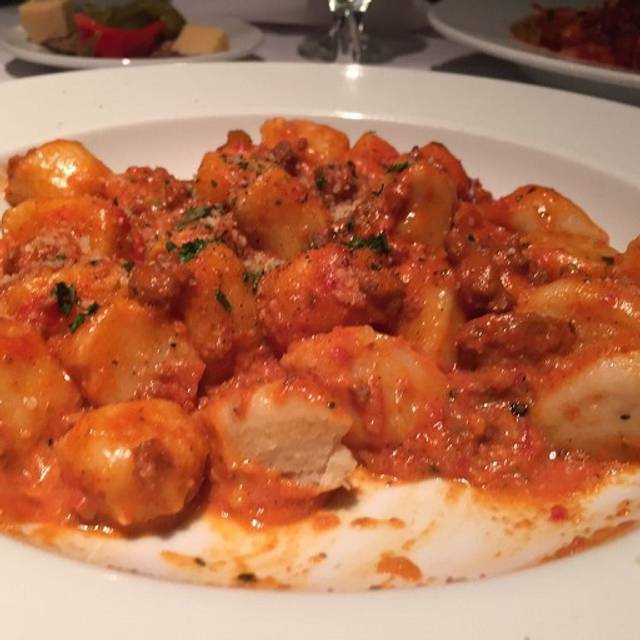 La Collina specializes in fresh seafood and veal dishes. 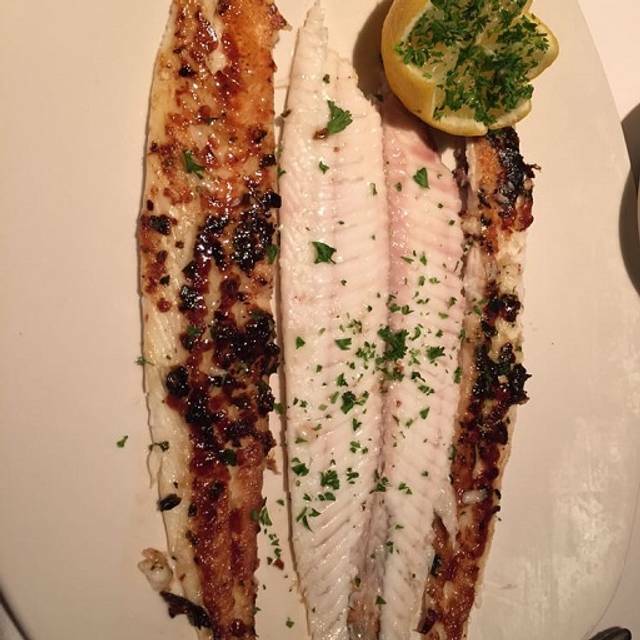 Its signature dish, Dover Sole, is a delicate, tasty fish that is uniquely grilled, and served tableside. In addition to our Dover Sole, our daily fresh-fish specials include Branzino, Norwegian Salmon, Pompano, Orata, soft-shell crabs, Langostina, and other delights from the sea, depending upon availability. We are also known for our veal sirloin, veal porterhouse, ossobuco, and chops. Very good Italian restaurant. Mussels marinara were fantastic. Entrees were served piping hot right from the chefs kitchen. Asked for sole to be prepared differently then on menu, was met with a “NO” from the Chef. Thought that was a little less than accommodating. However, food ordered was very delicious. The ricotta cheese cake for dessert was one of the very best I’ve ever tasted. We’ve been here a number of times, we’ll be back. Hopefully next time the Chef will be a little more accommodating. 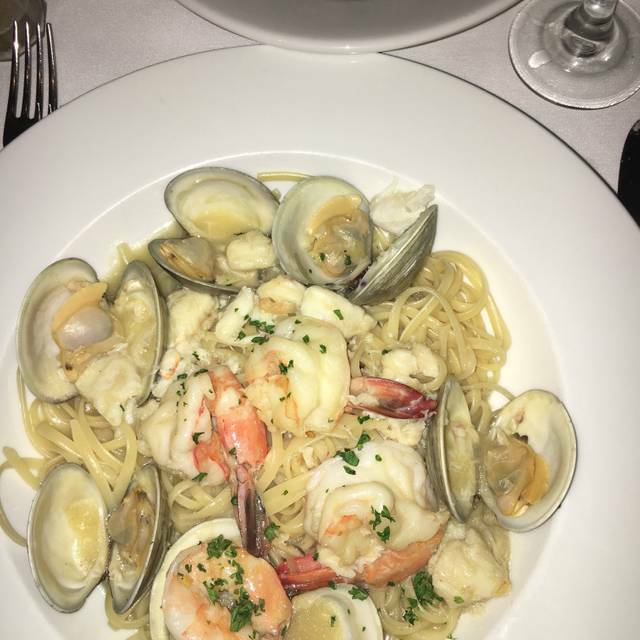 We always love dining a La Collina. As an event planner, I have hosted our corporate holiday party here many times and it is always enjoyable. The atmosphere is great, the food delicious and the service at our lunch last week very attentive. We were celebrating our boss' birthday and the special surprise dessert was a lovely touch. Waiters were very conscientious, pleasant and overall a wonderful meal. From the moment we pulled up when the valet was so personal and wanted to make sure we would enjoy our evening...to the host and eventually the waiter.....we were thoroughly impressed with the experience. This is a restaurant that is focused on individual customer experience.....from making the customer feel important by knowing regular customer names, to providing outstanding food choices with high quality food presentation and preparation. The value of the experience, to include the unbelievable Desert cart, is exceptional. My wife and I will certainly come back and will invite our friends and family for special occasions. I’ve passed by this restaurant so many times and we finally decided to give it a try, especially after my wife’s coworker recommended it. We were not disappointed. 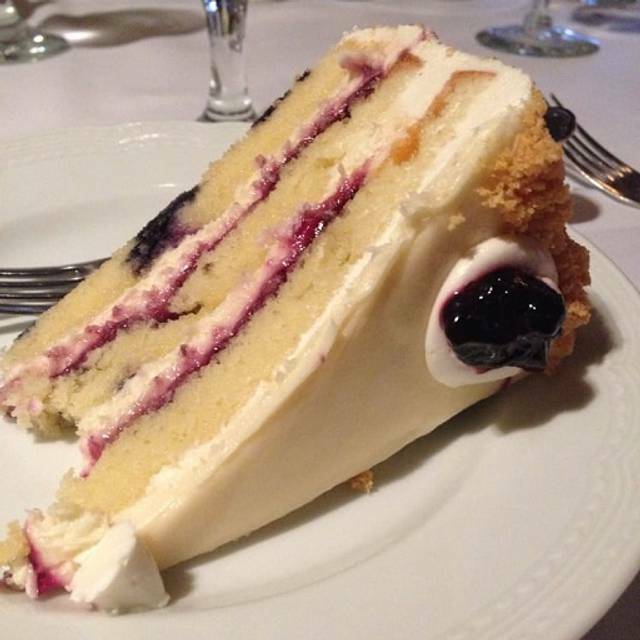 Great old school Italian food, phenomenal desserts and great atmosphere. Loved the panoramic views. I had lobster and shrimp fra diavlo which was fantastic and my wife loved her veal Marsala. Great see overall. They got my soup order wrong but no biggie I didn’t even say anything and it was still good. Highly recommend. 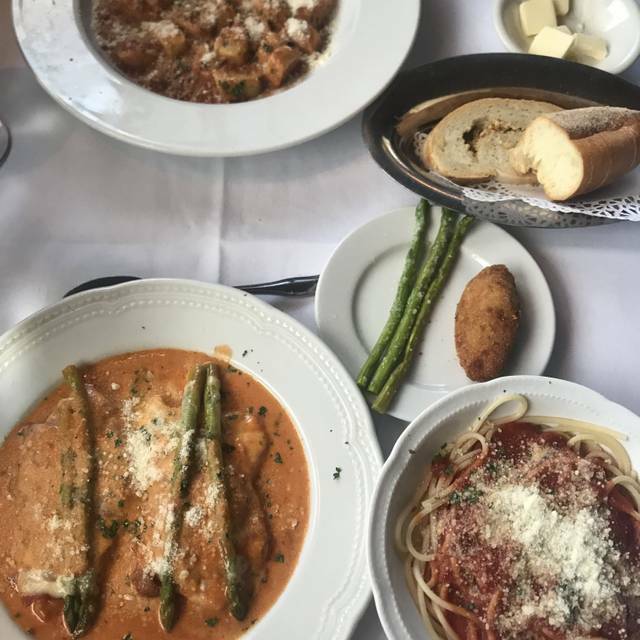 delicious old school italian food. 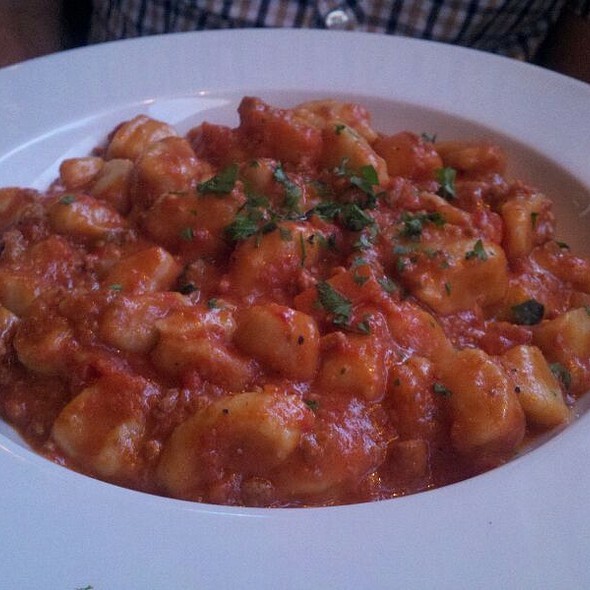 calamari arrabiata was cooked perfectly. sunday night is BYOB! There was no one in the restaurant and the waiter still rushed us. Always interrupting to ask another question. Impeccable service and delicious meal! Very good food and service. We have been there before. Great view. We really enjoy it for special things. Great food, great service and great atmosphere. Our favorite place! Excellent classic Italian, can’t go wrong. Appreciate the hard work and dedication of Enzo and his staff to create a wonderful evening for you and your guest. the food was good. very attentive staff and easy going, relaxing ambiance. will definitely go back. It has taken us 38 years to go to La Collina for our first time. What a mistake. We had a lovely evening and plan to return. The dinning room is beautiful and restful. The waitstaff was professional and very helpful. Our cocktails were fine. The food was great. The noise level was low enough to carry on a reasonable conversation. Had a great night with friends. Carmen was the waiter and he did a fantastic job! We went to La Collina for a belated Valentine’s Day dinner. The service was terrible. We had no idea who our actual server was because we had various servers stopping at our table causing confusion. It felt as though we were an inconvenience to the staff and they acted like they were doing us a favor by taking our order. The food was ok. I had the chicken parm and it was soggy and kind of blah. My boyfriend had the Fra Diavlo and said he liked it but he had definitely had better elsewhere. The food was definitely not worth the price you pay. It took 10 minutes to get the check when we asked for it and another 15 minutes for them to take it back and charge us. We were so looking forward to a nice date night and we’re severely disappointed in our experience. We will not be dining there again or recommending to our friends and family. DISCLOSURE: I had high expectations for this restaurant after driving by it at night and seeing it's beauty from I-76 for the past 2 years! PROS: The crabcake app was awesome. The view was great but doesn't really matter if you are not seated by the windows which we were not. The waiter was funny. CONS: Our entrees were very bland. 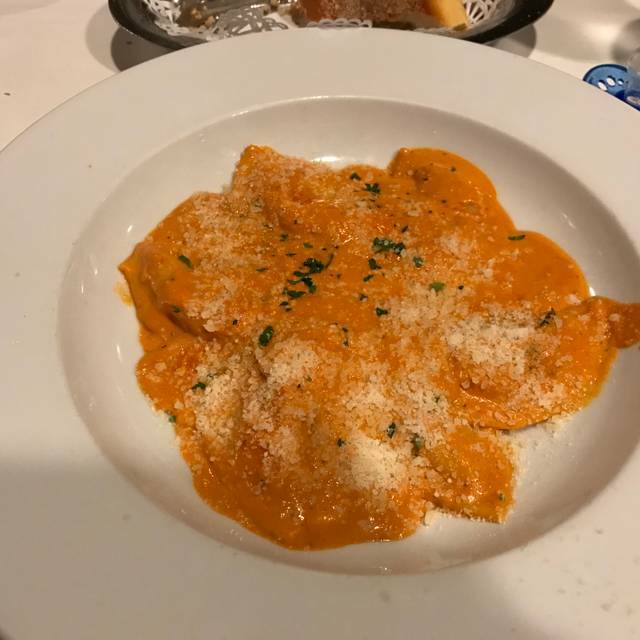 Stuffed pasta/ravioli was undercooked to the point of still having a crunch to it. Pollo Collina was tasteless chicken that appeared boiled (would have been better baked or sauteed IMO). Not horrible but underwhelming to say the least. The server never asked to refill our drinks until the check came. The place is pretty old-fashioned and the menu reflects that. BTW the menu only slightly resembled what is posted on Open Table. Would not return, sorry to say. Wonderful food, service. Enzo is terrific and very attentive to everyone’s needs. Great Place for a date five stars!! A cozy restaurant with traditional Italian vibes and unique view. But the food was at best around average. Seafood was well, steak was average , traditional Italian below average . Service might be an isolated issue , but our waiter did not stop by 1x from the time we got our first drink , until the time we asked for the check . Food was excellent, service as well. First time there. View was excellent too. It's a little pricey. Nice restaurant. Food was very good. Server mumbled and didn’t pay as much attention to us as his other 2 tables. Wish that was better but the rest was cool. This was our 3rd time back for dinner. A great menu with a lot of Italian dishes to choose from...some with an interesting/delicious twist. Our server was extremely attentive & made some good recommendations for us. The food was not very good. We both had seafood pasta dishes and the shrimp were very overcooked. The service was a bit sloppy, for example we were seated without menus and a server just walked up as soon as we sat down and asked us what we wanted to drink. I didn't even have my coat off yet and we didn't have any menus. The dining room was very tight. It was hard to move around to our table and when we went to leave there was almost no room to fit through to get to the front door. It was hard not to bump people. Also, i booked Saturday night to celebrate my boyfriends birthday specifically because they are supposed to have live music which they did not have. Overall it was too much money for the quality of the atmosphere and the food. Anniversary dinner. Not acknowledged however. Food was delicious, wait staff was amazing, and the restaurant itself is beautiful. Way too expensive for the quality of food. Bartender was one drink away from being weeded. Ignored us, served customers who were seated long after us. Hosts were super welcoming. Waiter was very nice, but hands were really shaky. Caesar was lame. Chick parm just ok. Veal Royal was better. Wine list way marked up. Dessert was good. Very underwhelmed, but glad I no longer have to wonder what it’s like when driving 76. 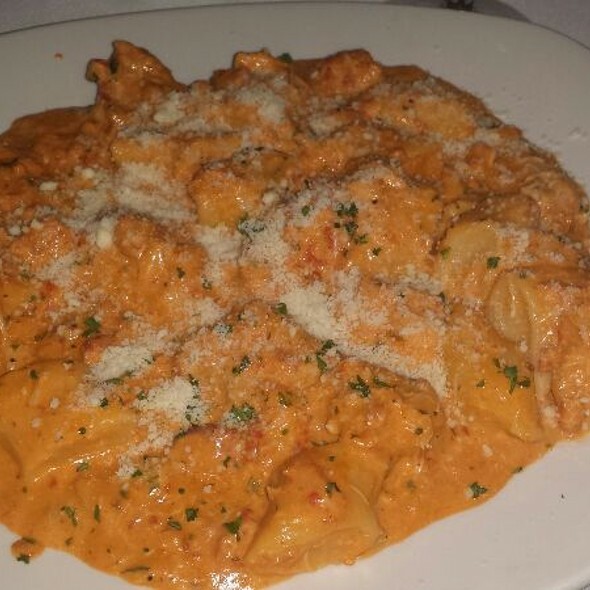 Really delicious penne vodka. I had the shrimp entree which was delicious but I think it would have been more enjoyable if it was served with some greens and not so much rice. We went for a late lunch. The ambiance was very charming which was a nice addition to the wonderful food. We will definitely return.